Speed Dogtags....full color imprint in 5 working days. No die or setup charges. Extra-low minimum order. 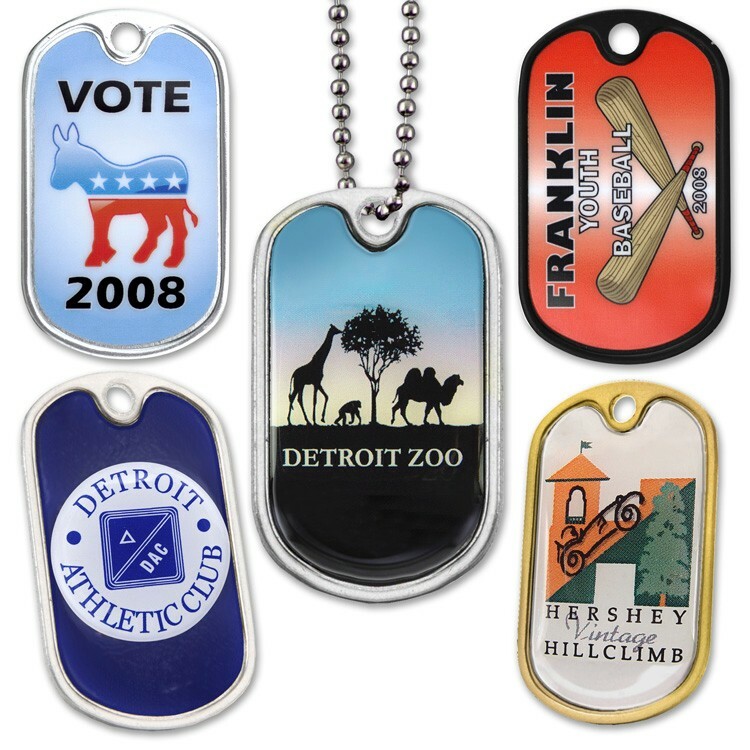 Includes a four color process imprint with durable lamination on one side of stock metal dogtag. Dogtag size: 1-3/4" x 1-1/16". Epoxy dome: $.80 (p) each.